Parent gave an overview of the process thus far and the next steps. During November and December the PCNF proposal was reviewed and questions and concerns were recorded. 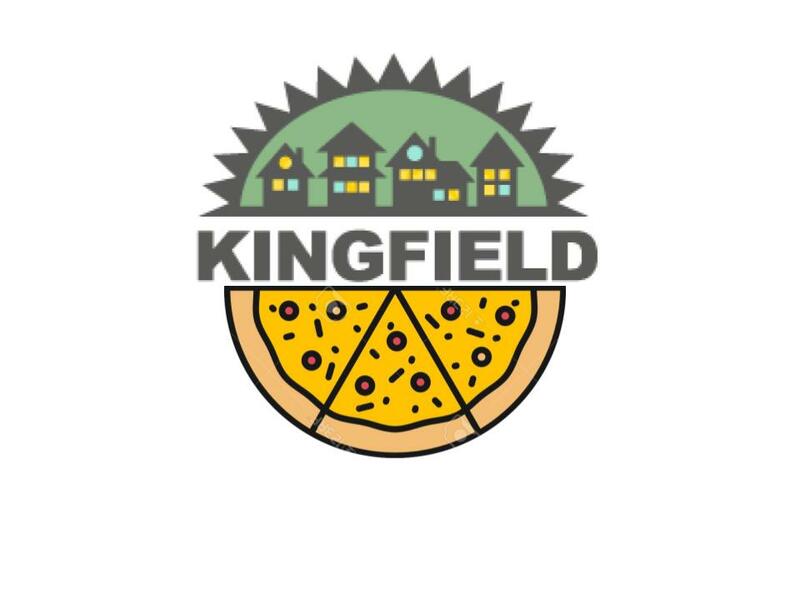 During January and February presentations have been lined up to further inform Kingfield residents and answer question related to the 3700 development. Parent introduced the Community Benefit Agreement that KFNA would like to develop for this project. CBAs are a way to form a legally enforceable contract with a developer. Kingfield would like to put together a draft CBA by February 27th. The last meeting was focused on the social service model that PCNF and YouthLink were going to apply to the project. This meeting will be focused on topics of property management, building characteristics for Nicollet, Kingfield and the project building design and massing. Invited guest Ed Goetz of Humphrey Institute of the University of Minnesota presented his research on the issues of the impact that affordable housing has on surrounding area’s property values. Goetz study was conducted in the 1990’s in Minneapolis, but stated that the dynamics my not be much different today. 15-20 affordable housing developments were studied. They all were built between the 1980s and 1994. Goetz collected data from the City assessor’s office and added how far housing was from each project. Controlling for individual house characteristics Goetz found a slight positive impact on property values. It was very small but was not negative or no affect could be detected at all. The crime study looked at each address and reported crime at that location before and after the development. Most developments were rehabs (some new developments on vacant lots). The research plotted crime before and after and found statistically a significant reduction in police calls after the property was converted to affordable. Finally Goetz looked at the longevity of tenants to see if they were more or less stable in their residency patterns. There is a concern that affordable housing renters are more transient. The study demonstrated that residents of affordable housing stayed longer then regular renters. The noted reason being that residents have a vested interested in retaining their subsidized housing. To move would mean losing this assistance. In most cases affordable homes were run by non profit organizations focused on social service motives. Part of the mission is to manage buildings well and stay on top of crime and maintenance. Due to the fact that most of the apartments were bought from owners who were distressed by building maintenance and poor economic situations and the rehabbed helped increase the value and of and round the property. The increase of property value is from converting a declining property into a rehabbed, improved site/building. A detrimental land use is replaced by a better land use combined with good management and maintenance – property value goes up. The average building size in Goetz study was 20-30 units, typically larger multi family dwellings. Not many studies have been done prior to or since this one. Goetz referred to a handout of a more recent study focused on suburbs. On person commented that the Goetz’s study cannot be applied to the PCNF project because residents were mostly families. Goetz replied that he does not have a professional opinion about this specifically, but that the study looked at a wide range of housing types. Arnold reviewed the City process by which a development is reviewed. First the developer must submit a land use application (identify zoning, set backs, request for conditional use permit etc). City staff reviews this as a group and makes a report that either recommends or denies the applicant. The staff report is made public. Then the planning commission does a site plan review. Note taker was unable record the full comment here. Arnold reviewed basics of the Minneapolis Plan (for Sustainable Growth). The Minneapolis Plan is currently being updated. The Mpls Plan is legally required by the Met Council and the Sate and it guides policy and zoning discussions. Arnold reviewed the “Community Corridor” designation in the Mpls Plan. Currently Nicollet Ave. is designated as a community corridor. The City supports higher density, mixed use developments along community corridors. If Nicollet is opened up at Lake Street the designation could change and the Minneapolis Plan could be updated. Under the current zoning for 3700 Nicollet Ave the site is OR2 (office residential 2). The 2 indicates on a scale the type of retail/industry that is allowed. OR2 allows for 4 stories in this area and limits the square footage of business space. What zoning allows for 3700 is detailed below and compared to what PCNF is proposing (presented by CermakRhodes). Michelle from CermakRhoades presented the design process thus far. She presented three 3 design schemes walking the group through the characteristics of each one. The design team looked at how the character of the building could compliment the neighborhood, encourage pedestrian traffic, the use of quality materials and making the design reflect the energy and playfulness of youth. Michelle also discussed how the social service model could be reflected in the building design, how a building could address the streets at this location and Crime Prevention Through Environment Design (CPTED). PCNF has already met with CPS Thomson for an CPTED assessment. That will be presented in full at the next meeting when the topic is crime and safety is addressed in detail. Steve Wellington PCNF board member with professional experience in retail development presented on plan for retail space at the site. As it is show in plans the retail space is split into two. This could chance depending on the type of retailer. PCNF is looking for a business that would compliment the existing businesses in the area and be an asset to the community while providing jobs for some of the youth in the program. PCNF is looking for community feedback about the type of businesses that people would like to see. Ultimately PCNF and the City will have the authority to decide which retailer will be accepted. Q. What variances is PCNF planning to apply for. A. Likely a parking variance. Resident will receive a notice of this by law before the City hearing. KFNA will also keep updated on the variance request before they are submitted to the City. There are 4 parking lot spaced for the office space and 11 for residents but no retail parking in back. Q. How does the City evaluate street parking use? A. The City looks at its transportation plan for that area. It is unlikely that the City will do a parking study to determine amount of use. Residents do not have rights to the street parking in front of their homes. Q. Concern expressed regarding layout of residential and set back. How much greet space will there be? A. There will be 10-12 feet of green space between the building and public side walk. Michelle also pointed out all the green space indicated on the site plan. Q. When does the retail component need to be decided? A. PCNF can submit their site plan with retail indicated in it. Then a separate approval process is implemented when a business is actually identified. Q. What value does this project bring to KFNA? A. PCNF stated that that the site itself with high quality construction and retail will be an asset to the community as well as the residents. Other projects have not been detrimental to other neighborhoods. Q. How are troubled youth going to be an asset? A. They are potential employees, customers, and KFNA residents can volunteer to become mentors. Q. Wouldn’t these youth be better served in a home setting? A. This model of housing has been demonstrated to work. It is not felt that this type of housing is inhuman or detrimental to the development and progress of homeless youth. Q. Do not want retail included. There is plenty of retail that is suffering in this area how will this be different? Fear that it will be empty store fronts. A. The mixed use model has been proposed one to provide work fast opportunities for youth and secondly to create a way for the neighborhood to interact with the property and residents. A KFNA redev committee members commented that there is a need for good quality retail to spur on other quality and stable retail. Q. Can residents buy items from the funeral home before it is torn down? A. PCNF has already signed a contract with the Re-Use-It center and resalable items will be salvaged from the building before it is raised. PCNF will contact the Re-Use-It center to see if KFNA residents could have a the opportunity to buy items before others. participants were given 2 stickers to place a vote on which design they liked the most. Display boards were set up at the back of the room. Sarah and Tom presented – The Nicollet-East Harriet Business Association has indicated that they are applying for the City FIP grant to include 5 designated business nodes between EHNA and KFNA. NEHBA’s proposal is that KFNA’s Redevelopment Committee and Design Guidelines will be utilized to review applications but that KFNA will not have a final decision on grant approvals and will not receive any of the administrative funding nor be guaranteed any of the grant funding for Kingfield businesses. KFNA does not believe this is truly a partnership but rather a request for KFNA to step aside so NEHBA can apply. Redevelopment Committee members felt that unless a partnership between the two organizations could be reached, KFNA should apply for the grant for the three nodes along Nicollet. The Redevelopment Committee empowered Parent to attempt to negotiate an equitable structure with Matt Perry of NEHBA prior to deciding whether or not to pursue applying for the grant. Hallstrom, who also works for NEHBA, tried to explained the intentions behind the NEHBA application. There is disagreement over this issue. Comp Plan Review – Mark Hinds will send along comments from LNA to KFNA for review.